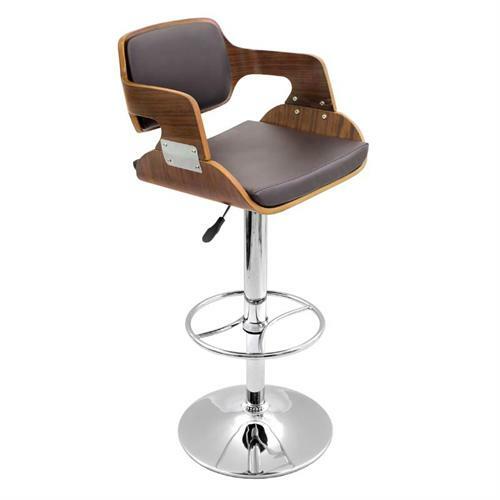 More on the LumiSource Fiore Bar Stool (Walnut and Brown) BS-JY-FR WAL BN below. Modern bent wood design combined with plush seating create a stylish stool perfect for any kitchen or bar. The hydraulic chrome support post allows for height adjustment. Hydraulic seat adjustment from 27" to 32"
*Also available in cherry and black, see related products below.